Hi, when is the sister's meal festival in Guizhou on for 2017? And which day is it best to go? Day 1 or Day 2 in Shidong? I really want to take photos of the girls in their big silver neck-pieces/necklaces. Thanks Ava! But isn't April 12 in Shidong where the dances take place i.e. The girls with the silver necklaces dance? I might only be able to make Day 2 is April 12v will I get to see much? Thank you! Where exactly is the dragon boat race held in Guizhou? How can I get there from Guiyang? During Jun. 8-9, grance dragon boat races will be held in the Daming Biancheng, Tongren. You can take a direct bus from Guiyang Jinyang Bus Station to Tongren first within 5h. Then take a taxi to the scenic spot for the race. 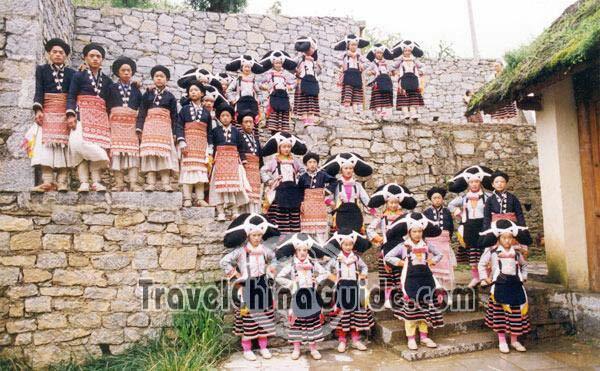 Which festival in Guizhou is the best one to go to for photography? The Spring Festival, Sanyuesan Festival in April and Duan Festival are the best time to take pictures. It is probably on 18th, February, 2013.